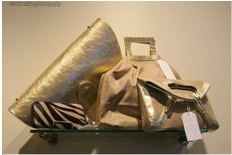 You may know Tiki Harrell as the go-to girl for finding the latest must-have handbags through her mobile boutique, and now she will be known for finding the newest must-haves in clothing and jewelry as well. Tiki and her brother, former football star Marcellus Wiley, just opened their new store La’Tik Fashion Boutique near the beach in Santa Monica, California. 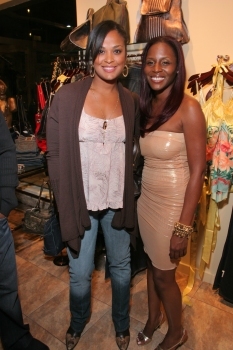 At her grand opening party, celebrities such as Dancing With the Stars beauty and professional boxer Laila Ali shopped, ate, drank, and danced to the DJ in the VIP loft. You can get the same VIP treatment by booking private parties, while getting cash back on your purchases. Can’t make it in, then check out ShopLatik.com.